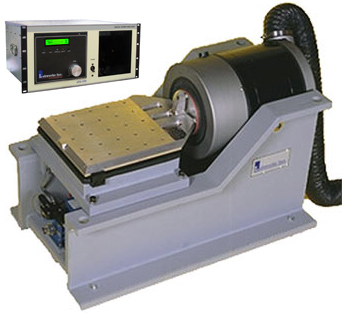 These systems are designed for general purpose testing using common vibration profiles. The shakers in these systems have light weight armatures with large mounting surfaces which provide high acceleration testing of larger loads. The shaker suspension systems provide large displacement capability and are able to carry relatively heavy payloads while maintaining high lateral stiffness. These systems can be easily adapted to modal testing by adding a modal stinger kit and can also be used for transducer calibration or other types of specialized testing with little or no compromise. Our general purpose systems offer a choice of either class A-B linear or class D switching amplifiers. 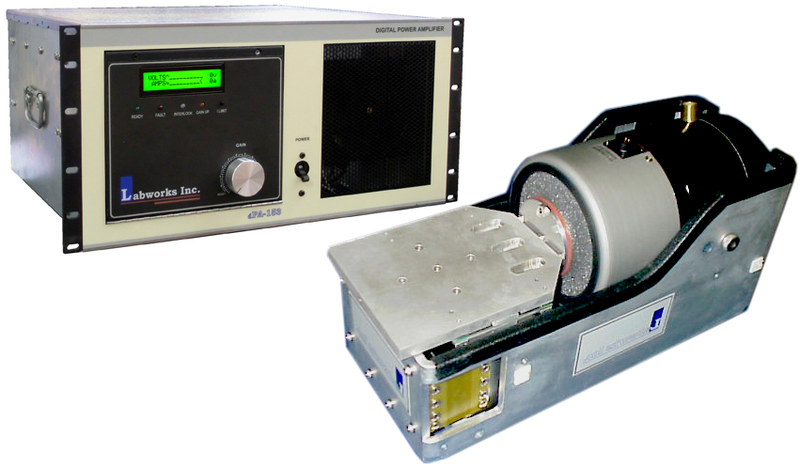 Linear amplifiers are best able to provide highly damped, low distortion operation at frequencies from true DC to 20kHz and are therefore well suited to low level vibration and modal testing. 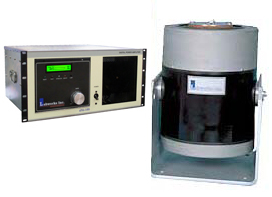 Class D amplifiers are much more efficient, less expensive to build and can economically provide the high voltage and current peaks required for normal random vibration profiles. An efficient class D amplifier capable of driving small shakers to their maximum random ratings can be offered at a fraction of the cost, size and weight of an equally capable class A-B amplifier and therefore is an excellent choice where extremely low frequency and distortion are not factors.